Charity shops are my go to place when we need some clothes. Having worked in one for 8 years I got to see first hand all of the goodies that came through the door. Seriously you’d be amazed at what people throw away! I’d say at least 40% of what came in was brand new. 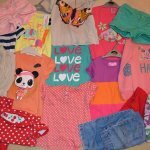 Jumbles sales are fantastic for clothes, especially children’s items. Once I managed to get a bin liner full of clothes for my two for a fiver but not just that every item of clothing in there was a high street brand. A lot of the stallholders sell off their clothes for 20p per item! You’ll often find jumble sales at your local village or town hall. Car boot sales generally follow the same format as jumble sales although car boot sales tend to be a lot bigger and are obviously outdoors. They are particulary great for sourcing furniture and kids toys at low prices. A lot of stalls also sell clothes but you have to be prepared to dig through them to find what you want. Check out sites such as Car Boot Junction to find your nearest one. Our local recycling centre or tip, as they used to be called, is great for grabbing a bargain. Anything that is still in good condition gets taken to a separate area where the public can go and buy it at seriously reduced prices. Ours has everything from exercise equipment to clothes. It’s definitely worth finding out where your nearest one is and having a look. Contact your local council to find your nearest center and see what services they offer. Freecycle is an online community where people can get rid of their unwanted goods to other people in the area. They are groups on there that you can join which are all run by volunteers. Personally I am a member of three groups in my area. The site is free to join and everything on there is free! The main aim of sites such as Freecycle is to reduce waste and create a sense of community sharing. Please don’t just go on there and get loads of items for free, people will notice and will get annoyed. Give back by adding items to the site that you no longer need too. Freegle is the same sort of thing as Freecycle, just a different name. You can be members of both at the same time. I’m guessing unless you have been living under a rock since 1995 you will already of heard of eBay. It’s great for finding a bargain either second hand or brand new. You can either bid on an item in an auction or choose the by it now option. Skip diving is becoming increasingly popular over the last few years. In case you’re not familiar with the term it’s where you literally dig around inside a skip to find goods that you may want. I would recommend asking the person who is throwing stuff out if you could have a look through before you start digging around in it though. As well a skip diving for items for the home people have also started skip diving for food. I’m not sure I could quite bring myself to do that but I am constantly amazed at what others manage to salvage, especially from supermarket bins. 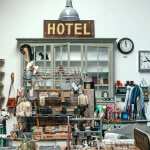 Check out the Salvage Sister blog for more info and tips. Please note: There are certain laws, depending on where you live, regarding skip diving. Make sure you check yours before you do anything. A lot of charities now have dedicated furniture stores, the British Heart Foundation are a good example of this. As well as charities there are also independent sellers who source their furniture from doing house clearances. You’ll generally find these types of shops on the outskirts of towns. There are literally hundreds of Facebook selling pages these days. You’ll find local ones and ones with specific themes. Personally we are members of a few local ones and a boating one, where people sell off unwanted boat parts. We save a fortune on our boat by buying this way. 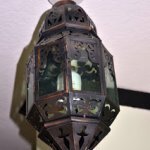 I really hope you have found this post useful and if there is anywhere else that I haven’t mentioned I’d love to hear about it. Leave me a comment below with your suggestions. 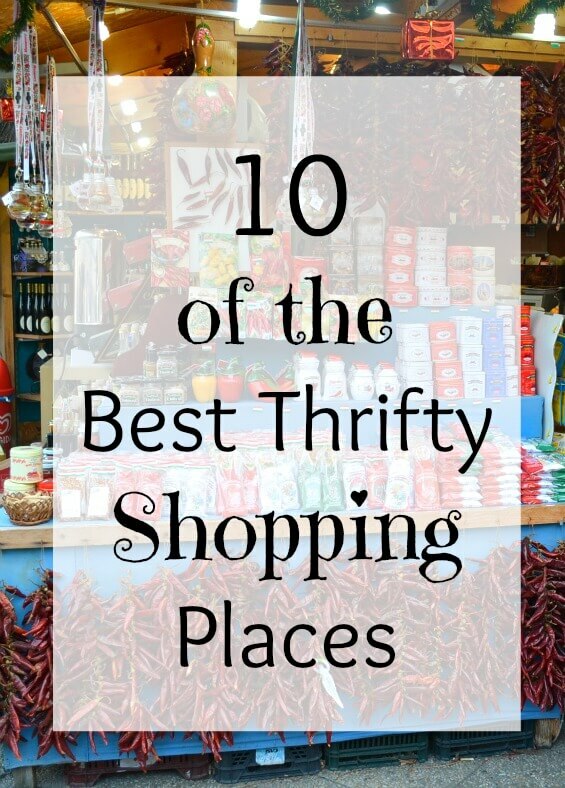 Thrifty Thursday is a place to share your thrifty posts. 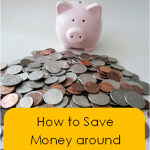 It doesn’t matter if they are old or new and can be about anything to do with saving money and being thrifty. Whether it be a post on cutting back on your food shop or your latest thrifty find link it up, I’d love to see it. 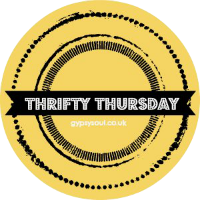 I have also started a Thrifty Thursday board on Pinterest and I will be pinning any entries onto it each week so more people get to see your great posts. Give Your House a Thrifty Reboot This Afternoon! We’ve discovered the Recycling Centre… It’s amazing what people just take down there. My big discovery these days is buying children’s books for my daughter who consumes books from charity shops. 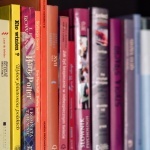 It is so much cheaper – 50p a book rather than £5 or more, which makes a huge difference when she reads them in a day! Great list!